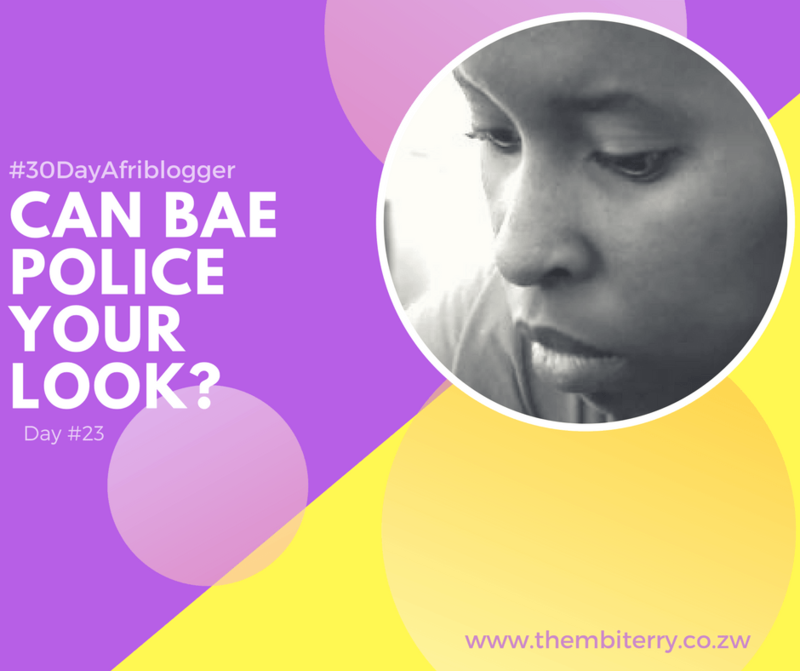 #23 Can Your Partner Police What You Wear? Hell yeah! Bae can police whatever I wear. I wouldn’t put on anything that he doesn’t approve of. I’d like it when he throws the long arm of the law at me. What’s life without a penal code? We are all into different things. To each his own. Submission is my thing. If a person wants to police the clothes that you wear, they must be in a position to buy you the clothes that they’d rather see you in. Don’t be like I hate your whole wardrobe, change it. Where am I supposed to get the money to dress according to your desires? At work they do not give me “Bae’s Preferences Allowance.” Put your money where your mouth is and I will wear whatever tickles your fancy. Men are visual creatures we’ve been knowing this. He must like what he is looking at. All my male friends keep updating me on things that they absolutely despise on women. I don’t own most of those things. But you need to find a balance. If men had it their way, we’d walk around half-naked all the time or in yoga pants. Be willing to compromise. Meet him halfway. Fuse your style to his preferences. Switch it up once in a while. If you are dating a man with an inferiority complex. He will police your wardrobe and not from a good place. He will ask you to cover up more because he is scared that other men will see what he saw when he approached you. Then why approach the woman in the first place if you are going to change her personal style? Beats me but he will probably beat you too so you should probably get out. Can your partner tell you what to wear?